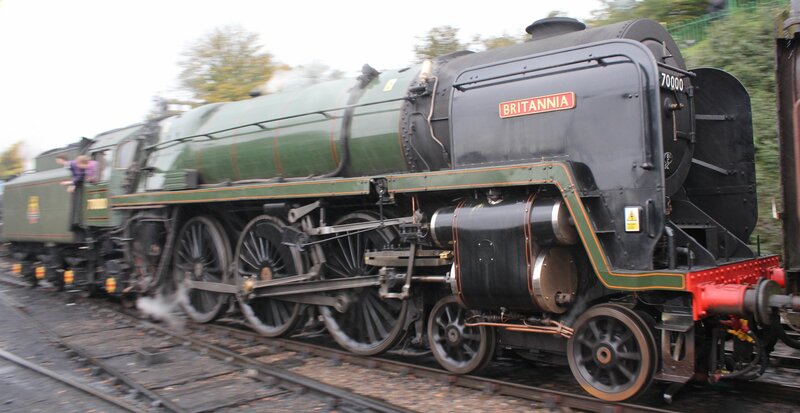 Bad weather can do wonders for making pictures of steam locomotives more dramatic. Presumably it is the extra humidity, but rain seems to add more steam. Rain can make the track slippery which increases the risk of wheel slip – which can be quite a sight! There is something very elementary about seeing a steam engine as it harnesses earth wind and fire. 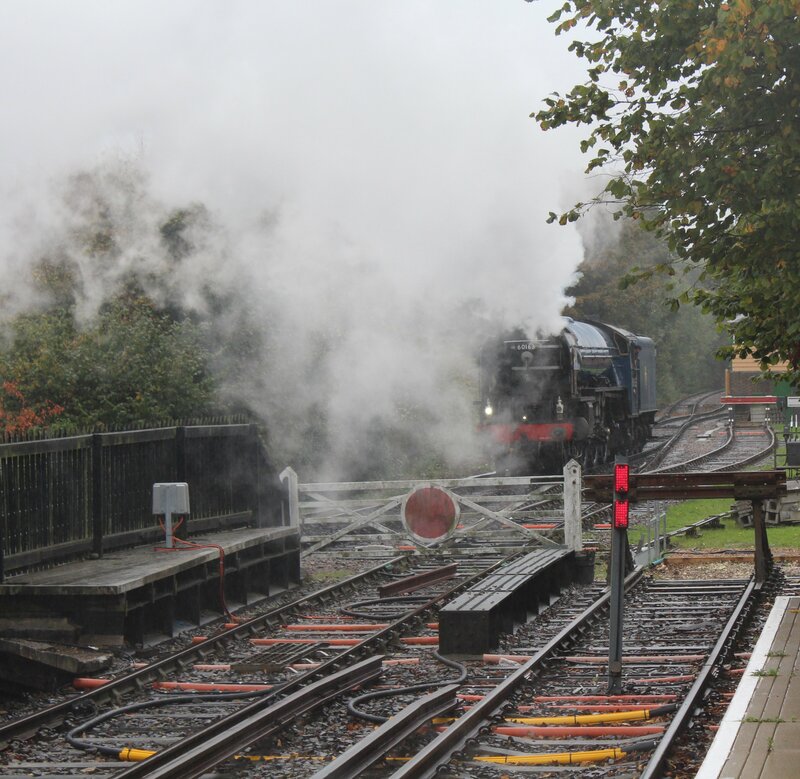 I think that this makes watching a steam locomotive punch through the elements very satisfying! In theory it can also reduce the number of people who might step in front of your camera, though we railway enthusiasts are a tough breed, with anoraks aplenty! Rain presents its own challenges all the same, as apart from keeping yourself dry, you need to protect your camera and other photography equipment. Your lens will get wet too and this not only isn’t great in terms if risk of long term damage (including mold) but it can also can ruin a photograph. The other thing to consider is that light levels drop, so you’ll need to use a higher ISO, particularly for a moving object. Even with this considered, you’ll also want to choose your aperture and shutter speed combination wisely to preserve enough depth of field without having too long a shutter speed (unless you want a longer exposure for effect). You’ll also want to practice your panning technique to have a good sharpness to blur ratio. Heavy clouds diffuse sunlight so you’ll not be governed by where the sun is in the sky. This can open up locations that the sun would usually spoil. Every cloud does have a silver lining! On the other hand, you may need to think about the wind direction, as all that steam has to go somewhere and you don’t want it to ruin your picture (below). The great thing about the digital age is that it presents the flexibility to change ISO between pictures, unlike the old days when it required a whole new roll of film. However, be prepared for bad weather all the same. 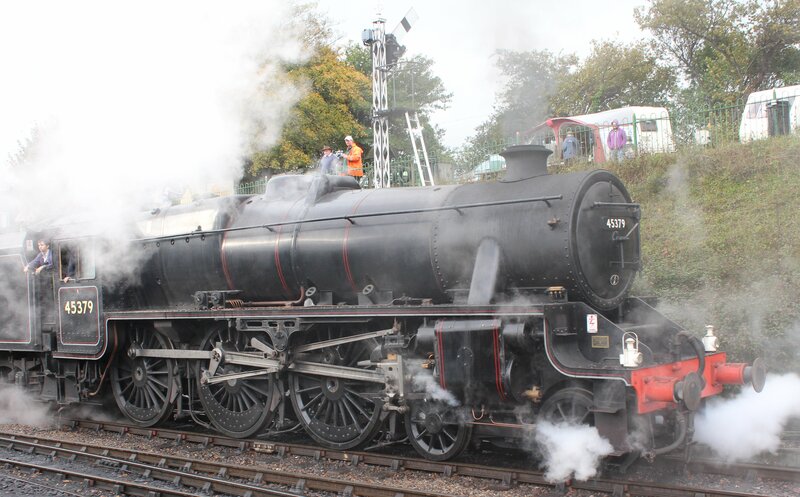 At the Watercress Line’s Autumn Steam Spectacular, the weather forecast got it horribly wrong. If I had trusted it, I would have not been prepared and worn the wrong clothes. Not only would I be wet but so would the camera between shots – or more than likely, the camera wouldn’t be risked at all and no pictures would be taken. There’s no such thing as bad weather, only inappropriate clothing and this true with photography as much as anything else! Please see below for more pictures taken in wet conditions. So bare this in mind if you ever consider cancelling a trip to a steam railway when the weather is poor, as it might just be worth getting wet for after all. Thanks for reading folks! 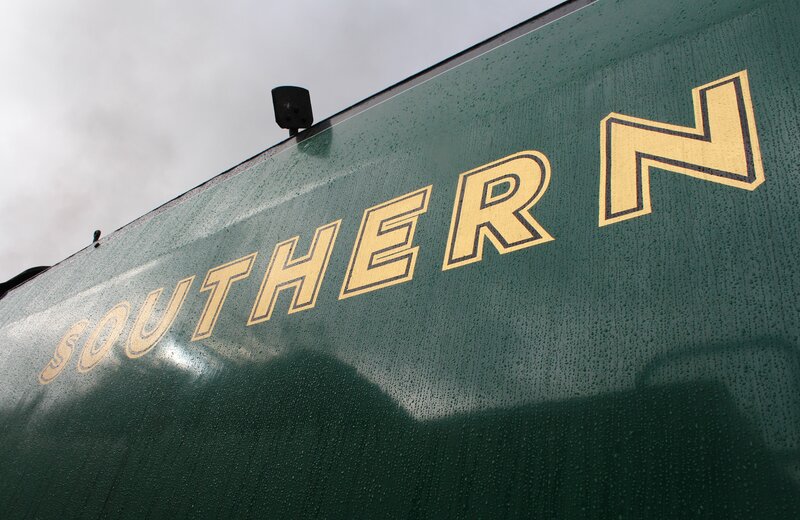 Just wonderful to see these fine Southern machines alive and well even in the rain. That’s certainly the important thing, they’re beautiful machines well worth seeing no matter the weather!